Interpret this theme anyway you'd like, just tell me what is NEW about your project! It may be anything New, New Year, New Celebration, New Friends, New You, New Baby, New Home (one I wish I had at moment... sigh...), New Products..., if it's NEW, it goes. :) Just be sure to use a House-Mouse, Happy Hoppers or Gruffies stamps, CD collection images and, or, any decoupage by House-Mouse Designs(R) on your projects! 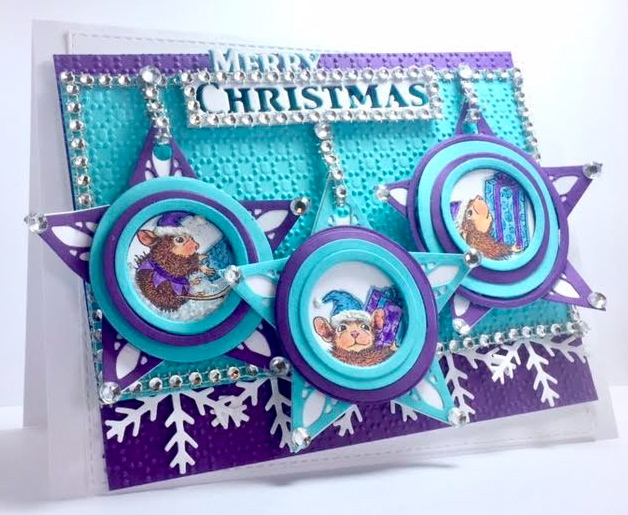 A colorful Christmas card with mousey ornaments. The House-Mouse stamp is called - which I've multi-stamped, colored and split into three sections for the elf mice to be in individual ornaments. Layering this was like a playing game to see what fit into the shapes! Paper: White CS, Blues and Purples CS from Michael's. Stamps: Stampendous!, House-Mouse Designs(R) ""Cling Elf Gifts" " cling stamp #. 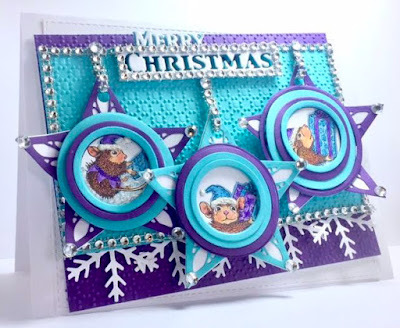 Accessories: CE/SW Dies Merry Christmas, Bold Snow Flake Frame, Aurora Star, Scalloped Lattice Frames Dies, and Sue's Dotted Matrix Embossing Folder. Also used rhinestone ribbon and cut it up in sections to frame sentiment and background. A sweet House-Mouse image paired with glittered Chipboard words (from Dollar Store). I've added background texture with Sue Wilson's Dotted Matrix EF. Sue's 2016 Festive Collection Snow Globe (for the lg Circle), and the Christmas Rose dies for creating the wreath. Floral Bling finishes off the card. 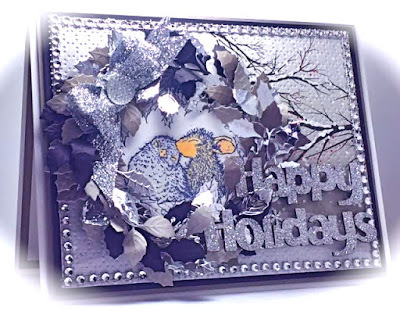 A House-Mouse Happy Holidays card! Colored in with my kids' school marker sets - since my own coloring stash is in military storage somewhere. ah, yes, us Crafty peeps must do what we must, right? Stamps: Stampendous!, House-Mouse Designs(R) "XXXXX" cling stamp. Accessories: CE/Sue Wilson's Dotted Matrix EF. Sue's 2016 Festive Collection Snow Globe (for the lg Circle), and the Christmas Rose dies for the leaves that I've assembled to create the wreath for placing around the mice. At this time, I had just found 1 House-Mouse stamp at a local Colorado Hobby Lobby- and was quite thrilled! 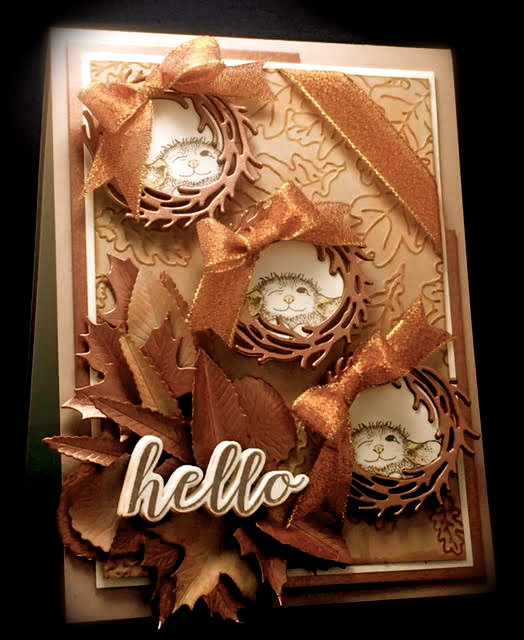 Having just one stamp sure made me think outside the box here and used a Jellybean Mousey themed stamp for a Fall themed card. Accessories: Leaves EF, CE Rustic Twig Wreath Die by Sue Wilson; Spellbinders Leaves2 Dies, Richard Garay Dies (sentiment). Topped with Copper wired Ribbon. 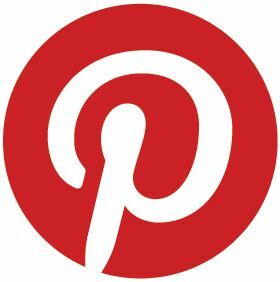 FOR INFO on Creative Expressions PRODUCTS and some truly GREAT TUTORIALS, visit the CE You Tube Channel HERE!!! Hope you've liked these makes and that you'll join the FUN "NEW" challenge! Be sure to stop by because we also have *** TEAM ANNOUNCEMENTS ****** GUEST DESIGNER OPPORTUNITIES *** and more incredible inspiration from your Mousey Designers! wow America you have made 3 gorgeous cards with great designs.